Margaret Nikituk is a third-year student at the Ohio State University College of Optometry. 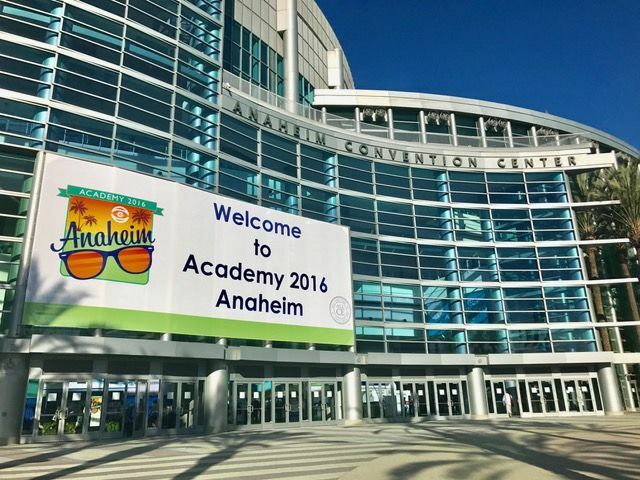 I received a good look into the future of healthcare and optometry—and my own career—at the 2016 American Academy of Optometry (AAO) annual meeting held in November in Anaheim, California. 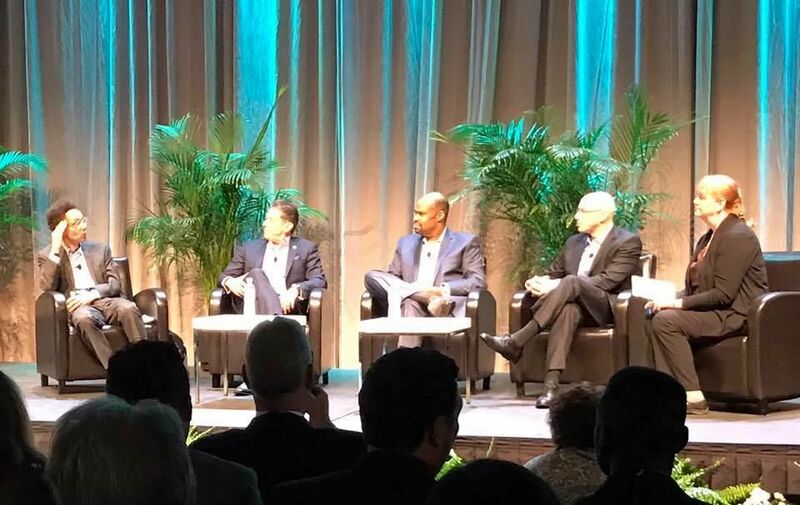 With more than 7,000 attendees, it was the largest AAO meeting in history, and an experience that will help shape my decisions going forward. 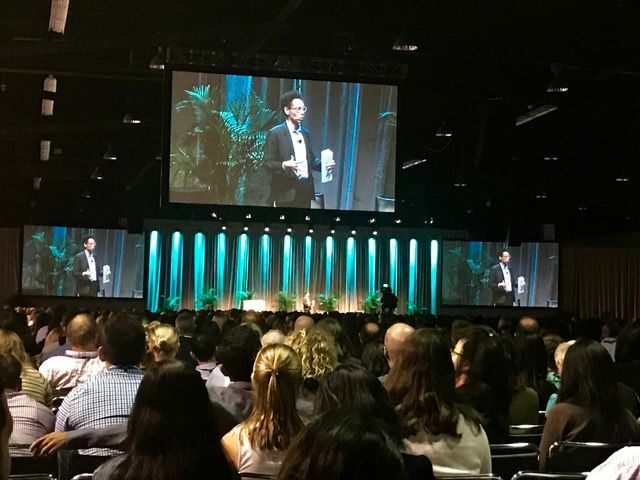 One aspect of the meeting I found particularly valuable was hearing non-clinician and futurist Malcolm Gladwell discuss the possible future directions of healthcare and society in general. 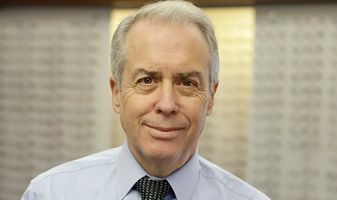 While his comments were insightful, the future of healthcare is extraordinarily hard to predict. Will we eventually go in the direction of universal healthcare, or become more and more privatized? The answer to that question could dramatically change how we practice going forward. Health care will continue to evolve with improved technology and better training of ancillary personnel. This will particularly impact optometry. In just the past 20 years we have seen major changes in the way optometrists evaluate the health of the optic nerve, the visual fields, and even refraction. Spectacle lens designs have improved to the point where they can be customized to the needs of the individual patient. These exciting technologies, along with others we may not be able to imagine, will keep changing and improving. With these continuing advances, it seems like we will need to embrace these technologies and continue to incorporate them into our practices to best serve our patients. From my work so far in optometry school and talking to many optometrists in the greater Columbus area, as well as in networking with many optometrists at the Academy event, it looks to me like the doctor's role is more and more in the interpretation of clinical data rather than the collection of clinical data. Some scientific presentations at the meeting also helped me understand how current research will shape the future of the profession. For example, I learned a lot about new diagnostic and treatment tools that could become mainstays in an optometry practice. I was especially impressed with the automated phoropters and the advances in optical coherence tomography (OCT) technology. In fact, I think having an OCT seems like a necessity in today’s practice to better manage the diagnosis and treatment of retinal diseases and glaucoma. Course and clinical experiences are challenging, and as a third-year student, the approaching challenges of National Board exams and fourth-year extern rotations can be demanding. It was valuable to network during the event and share these feelings with students from other programs who are going through the same things, and learn how they approach these milestones in their academic careers. I was also able to network with practicing optometrists and students from all over the country. I have not decided where I will practice after graduating, so making these connections as a student can be of great benefit in the future. No matter where I end up practicing, I will need to be able to help people with diverse problems. Courses on scleral contact lens fitting, systemic disease, glaucoma, retinal disease, and binocular vision will help me do so as well as narrow my career focus. 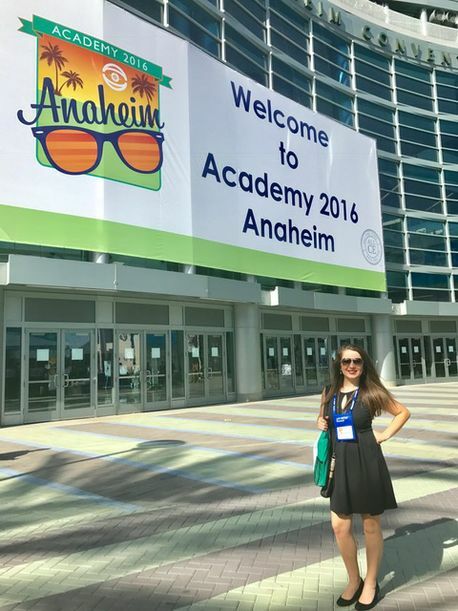 During meetings with residency directors, I learned that opportunities are limitless for students because residency options are available in every discipline of optometry. As I see it, there was plenty to learn from the AAO meeting, and it left me with a lot to ponder about where I want to be after I graduate. It definitely lived up to the motto of “Today’s Research, Tomorrow’s Practice.” I may have just received a glimpse into my own future. What advice would you give a third-year student about the future of healthcare and the impact to an optometry practice?